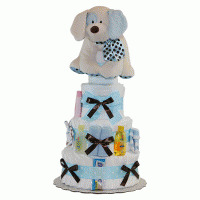 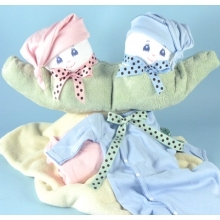 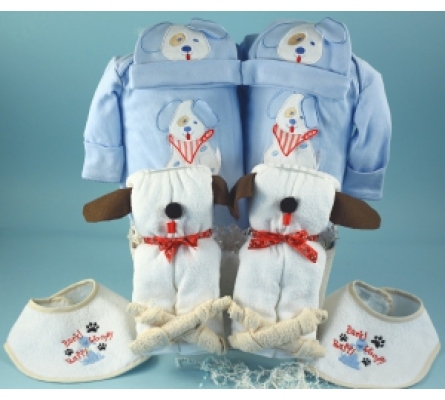 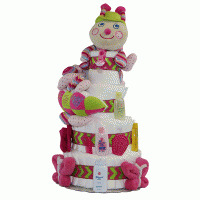 Celebrate your double or triple portion of perfection with our twin and triplet baby gifts! 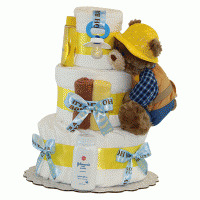 Designed to give you multiple times the gifts for multiple fun, you can select them in any gender combination and personalize them for that extra touch of sweetness--because one special delivery deserves another! 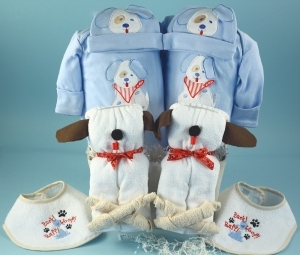 The only thing cuter than a puppy, is a baby, the only thing cuter than a baby and a puppy, is two babies and two little puppies, and the only thing cuter than that is our Three Little Puppies Baby Gift for Triplets!